Our friend, James McRitchie at CorpGov.net, posted a book review last week . Anything James recommends is usually a good bet. So, I bought the book, read it, and can recommend it as well. 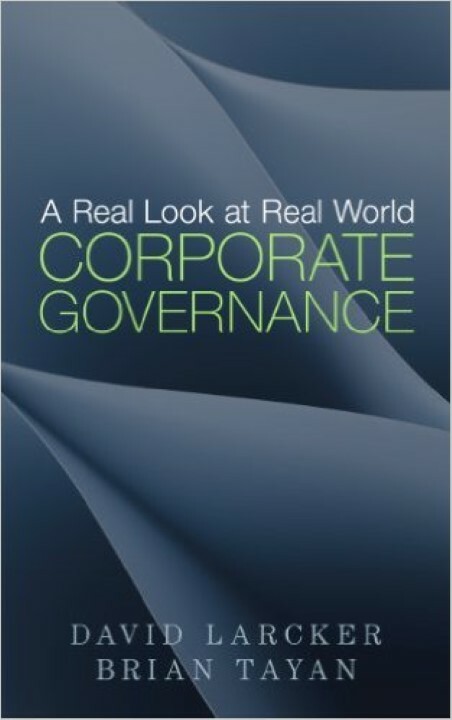 Our friend, James McRitchie at CorpGov.net, posted a book review last week. Anything James recommends is usually a good bet. So, I bought the book, read it, and can recommend it as well. In short, the book A Real Look at Corporate Governance outlines a case against the blind use of “best practices offered by experts and blue ribbon panels.” It builds on the authors’ previous effort Corporate Governance Matters: A Closer Look at Organizational Choices and Their Consequences — but Real Look is shorter and offers their latest thinking. Common sense, right? Not so fast. In the age of proxy advisors and corporate governance ratings, we see blind adherence to so-called best practices all of the time. Sometimes, to address a check-box on a questionnaire, an organization may hang out out some window dressing instead of addressing underlying dynamics. For example, segregating the job title of Board Chair from the job title of the CEO instead of thoughtfully separating the roles. In the end, this book provides a refreshing and evidence-based look at some of the best-practices that all of us (myself included) espouse.